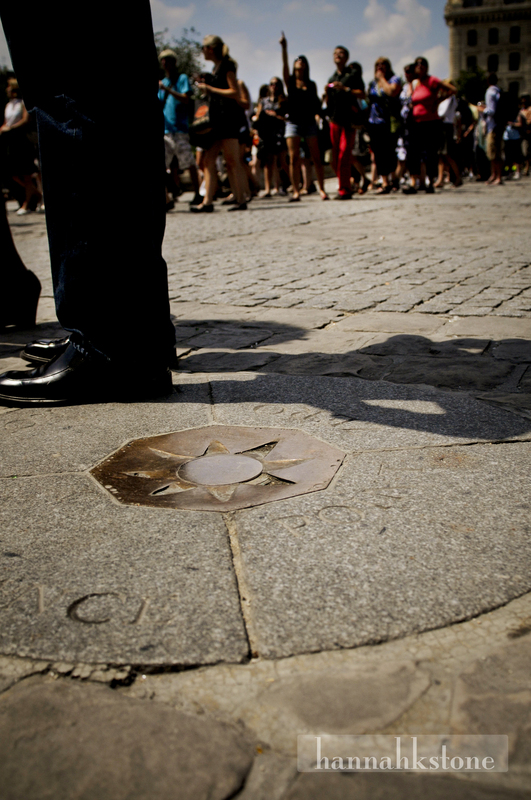 In the center of Paris, right in front of Notre Dame, there is a brass circle that marks the very middle of the city. This spot is usually obstructed by tourists, but it is said that pausing on this location ensures you return to Paris. I can’t speak for the infallible veracity of this claim, but I can say that three times I have come and stood on this spot before leaving this city, and every time I have returned. After being greeted at the airport by my dear friend Ana-Joel, who is hosting me my first week or so, I set out to wander the city that I love. I happily spent the day allowing myself to get lost in the endless streets and re-find places that I loved. I visited bridges that I miss standing on, benches where I miss watching the world pass by. And of course, tasted pastries that I missed eating. It felt like no time had passed since I last wandered these streets a year ago. Today I picked up shopping right where I had left off at last year’s “soldes” and ate lunch at Mouffetart where the Quiche Lady recognized me. I was able to spend the day with friends whom I love and whom I have missed and finish out the afternoon playing in the park with the girls I nannied. Returning to Paris reminds me why it is impossible to stop loving Paris. This entry was posted in Uncategorized and tagged France, Paris, photography, streets, travel. Bookmark the permalink. you were meant to be there…and I’m so glad you’re back again. enjoy every minute!